A while ago, we ran a short series on the 2010 Amalgam Debate between the FDA and various independent consultants, including the International Academy of Oral Medicine and Toxicology (IAOMT). While the tone of the summary published sounded like the FDA will reconsider its position on dental amalgams and mercury-released, the opposite has happened. Early this year, the agency has denied the petitions by the IAOMT, Moms Against Mercury and Citizens For Health to ban mercury fillings, despite some studies linking it to kidney damage and neurological disabilities. Instead, the agency again stood by its unseen political directors, who in turn harken to the third-biggest-spending health professionals’ lobby, the strongly pro-amalgam American Dental Association. 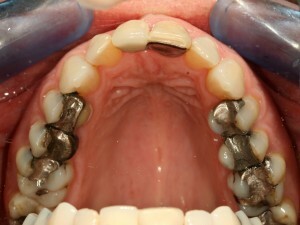 The association, in turn, answers to the estimated 30% of practicing dentists who still use amalgam because it is cheaper and easier than safer substitutes and who reasonably fear liability lawsuits from amalgam’s ill effects.